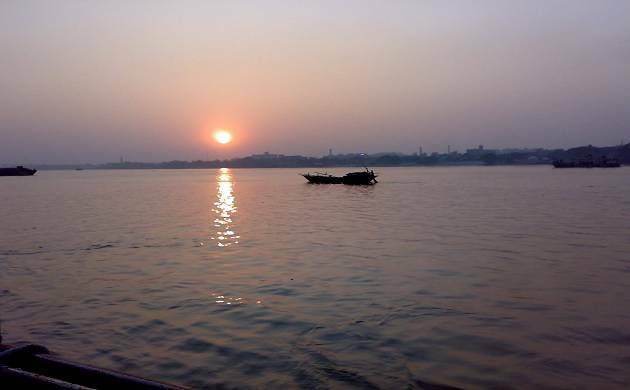 A whopping amount of over Rs 4800 crore has been spent on rejuvenation of river Ganga and its tributaries since 1986 till June 30 this year, the government has informed the National Green Tribunal. The Ministry of Environment and Forests told the apex environment watchdog that Rs 6788.78 crore was released by the government for the Ganga Action Plan (GAP) since it was launched by Prime Minister Rajiv Gandhi on January 14, 1986. Out of this, Rs 4864.48 has been spent till June 30 this year, leaving an unspent balance of Rs 1924.30 crore. The Environment Ministry told a bench headed by NGT Chairperson Justice Swatanter Kumar that the original sanction for Ganga Action Plan (GAP)- Phase I was Rs 256.26 crore which was later increased to Rs 462.04 crore. Out of this, only a sum of Rs 451.70 was released but Rs 433.30 crore spent, which left a balance of Rs 28.74 crore, it said. "Besides the above amount the State of Uttar Pradesh has as in March, 2017 spent a sum of Rs 1827.07 crore in the State for cleaning of Ganga and its tributaries. This includes a sum of Rs 164.69 crore actually spent on standalone projects of State of Uttar Pradesh while the remnant of Rs 1662.38 croreis state contribution towards the central schemes," the bench noted. The green panel, which has already reserved its verdict in the case and is likely to deliver it this week, noted that UP Jal Nigam has spent Rs 95.96 crore on cleaning of the river from Haridwar to Unnao in the year 2015-16 without any improvement in its water quality. "In the year 2016-17, they have already spent Rs 83.83 crore," the bench, also comprising Justice Jawad Rahim, noted. Nearly 32 years after a PIL was filed in the Supreme Court on pollution in the Ganga, the NGT had reserved its verdict on the second phase of the cleansing project between Haridwar to Unnao in Uttar Pradesh. The green panel, to which the 1985 PIL of noted environment activist M C Mehta was transferred by the Supreme Court in 2014, had divided the cleanliness drive in four segments of the river which passes through Uttarakhand, UP, Bihar, Jharkhand and West Bengal, spanning a distance of over 2500 kms. A bench headed by the NGT Chief has already delivered the verdict in December 2015 with regard to first phase between Gomukh to Haridwar and now the second judgement is expected to deal with measures to rejuvenate the Ganga between Haridwar in Uttarakhand and Unnao in UP. The tribunal heard the arguments of the NDA government, the UP government, pollution control boards and various other stakeholders for almost 18 months before reserving the judgement. Besides Justice Kumar, the bench which is hearing the Ganga case comprises Justices Jawad Rahim, R S Rathore and Expert Members B S Sajwan, Ajay A Deshpande and Nagin Nanda. The green panel has divided the work of cleaning the river in different segments, Gomukh to Haridwar (Phase-I), Haridwar to Unnao (termed as segment B of Phase-I), Unnao to border of Uttar Pradesh, border of Uttar Pradesh to border of Jharkhand and border of Jharkhand to Bay of Bengal.